For mixed drum loops, limiting can bring up the room sound without having an overly negative effect on the drum attacks. With vocals, I often use a limiter prior to compression. By doing the “heavy lifting” of limiting peaks, the subsequent compressor doesn’t have to work so hard, and can do what it does best. When used with slightly detuned synth patches, limiting preserves the characteristic flanging/chorusing-like sound, while keeping the occasional peaks under control. Some limiters (especially some vintage types) are easy to use, almost by definition: One control sets the amount of limiting, and another sets the output level. But Studio One’s limiter has four main controls—Input, Ceiling, Threshold, and Release—and the first three interact. If the Studio One Limiter looked like Fig. 1, it would still take care of most of your needs. In fact, many vintage limiters don’t go much beyond this in terms of functionality. Figure 1: If Studio One’s Limiter had an “Easy Mode” button, the result would look something like this. Load the Limiter’s default preset. Turn up the input for the desired limiting effect. The Reduction meter shows the amount of gain reduction needed to keep the output at the level set by the Threshold control (in this case, -1.00 dB). For example, if the input signal peaks at 0 dB and you turn up the Input control to 6 dB, the Limiter will apply 7 dB of gain reduction to keep the Limiter output at -1.00. Note that in this particular limiting application, the Threshold also determines the maximum output level. When you set Threshold to a specific value, like 0.00 dB, then no matter how much you turn up the Limiter’s Input control, the output level won’t exceed 0.00 dB. However, you have two options of how to do this. With Soft Clip off, gain reduction alone prevents the waveform from exceeding the ceiling. With Soft Clip on, clipping the peaks supplements the gain reduction process to keep the waveform from exceeding the ceiling (Fig. 2). Figure 2: The left screen shot shows the waveform with the input 6 dB above the Threshold, and Soft Clip off. The right screen shows the same waveform and levels, but with Soft Clip turned on. Note how the waveform peak is flattened somewhat due to the mild saturation. While it may sound crazy to want to introduce distortion, in many cases you’ll find you won’t hear the effects of saturation, and you’ll have a hotter output signal. With the Threshold set to 0.00, set the maximum output level with the Ceiling control (from 0 to -12 dB). With the Ceiling set to 0.00, set the maximum output level with the Threshold control (from 0 to -12 Db). It’s also possible to set maximum output levels below -12.00 dB. Turn either the Ceiling or Threshold control all the way counter-clockwise to -12.00 dB, then turn down the other control to lower the maximum output level. With both controls fully counter-clockwise, the maximum output level can be as low as -24 dB. Setting the Ceiling lower than the Threshold is a special case, which allows smoothing the transition into limiting somewhat. Under this condition, the Limiter applies soft-knee compression as the input transitions from below the threshold level to above it. For example, suppose the Ceiling is 0.00 dB and the Threshold is -6.00 dB. As you turn up the input, you would expect that the output would be the same as the input until the input reaches around -6 dB, at which point the output would be clamped to that level. However in this case, soft-knee compression starts occurring a few dB below -6.00 dB, and the actual limiting to -6.00 dB doesn’t occur until the input is a few dB above -6.00 dB. The tradeoff for smoothing this transition somewhat is that the Threshold needs to be set below 0.00. In this example, the maximum output is -6.00 dB. If you want to bring it up to 0.00 dB, then you’ll need to add makeup gain using Mixtool module. Studio One’s Limiter is a highly versatile signal processor, so don’t automatically ignore it in favor of the Compressor or Multiband Dynamics—with some audio material, it could be exactly what you need. Introducing StudioLive Series III S! More Power than You’ll Ever Need. 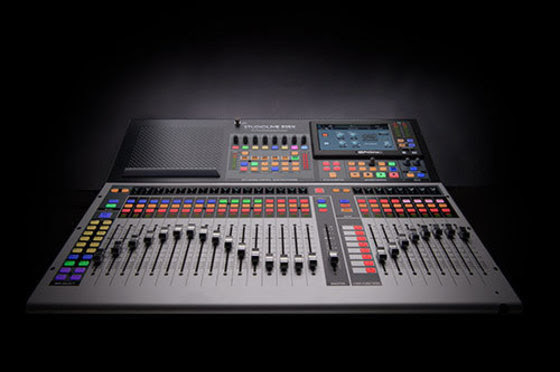 The new top-of-the-line StudioLive 64S brings the power of a large production console to small-format digital mixing, boasting 76 mixing channels, 43 buses, and 526 simultaneous effects… double the DSP of other mixers in the line, thanks to the all-new quad-core FLEX DSP engine. An independent main Mono/Center bus and a Center Divergence control round out the package. 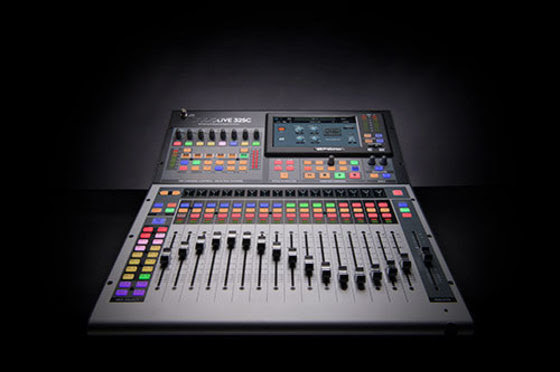 Spend less time menu-diving and more time mixing hands-on with StudioLive 32S. Powered by the dual-core PreSonus FLEX DSP Engine, the 32S is equipped with 40 mixing channels, 26 mix buses, and 286 simultaneous processors. 32S delivers a fast and intuitive, surface-driven workflow for total control. The low profile of the StudioLive 32SX makes it an ideal solution for any mixing environment where desk real estate is at a premium. The split-fader workflow lets you manage 32 input channels in two fader layers, while still providing access to your mix outputs on eight additional faders. 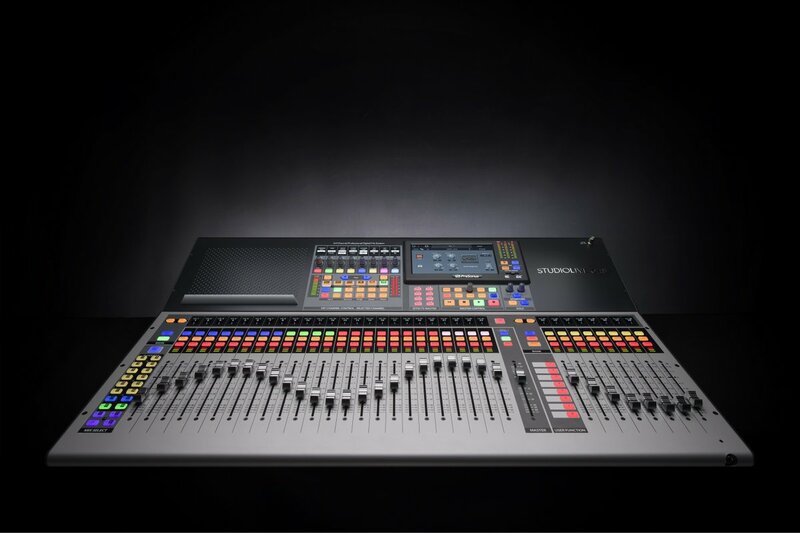 The StudioLive 32SX packs connectivity and power into an efficient use of space. Don’t let the road-ready, rack-mountable size fool you… the StudioLive 32SC sports the same dual-core PreSonus FLEX DSP Engine of its 32-channel brethren. The StudioLive 32SC provides all the tools you need—whether you’re building your dream studio or putting together a pro touring rig, and is dramatically expandable, thanks to the NSB stage boxes. 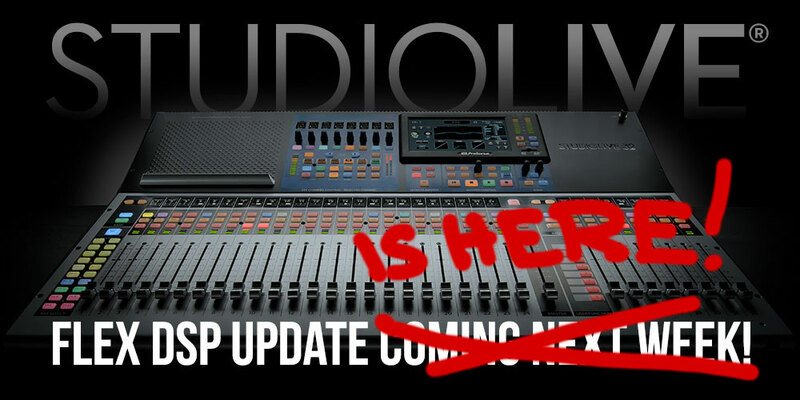 Owners of StudioLive Series III Mixers will soon be receiving the FLEX DSP Update – a dramatic set of improvements to your mixer and software that will add a ton of features—enough for an entirely separate blog post, which you can read by clicking below. Click here to learn more about FLEX DSP! 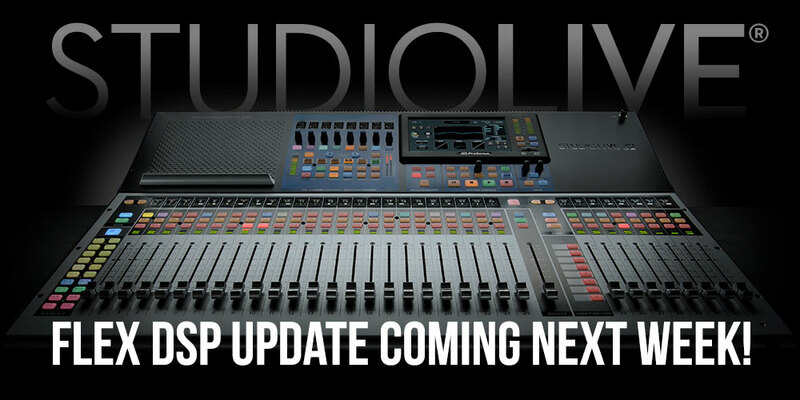 Comments Off on Introducing StudioLive Series III S! Some instruments, when compressed, lack “sparkle” if the stronger, lower frequencies compress high frequencies as well as lower ones. This is a common problem with guitar, but there’s a solution: the Compressor’s internal sidechain can apply compression to only the guitar’s lower frequencies, while leaving the higher frequencies uncompressed so they “ring out” above the compressed sound. (Multiband compression works for this too, but sidechaining can be a faster and easier way to accomplish the same results.) Frequency-selective compression can also be effective with drums, dance mixes, and other applications—like the “pumping drums” effect covered in the Friday Tip for October 5, 2018. Here’s how to do frequency-selective compression with guitar. Insert the Compressor in the guitar track. Enable the internal sidechain’s Filter button. Do not enable the Sidechain button in the effect’s header. Enable the Listen Filter button. Turn Lowcut fully counterclockwise (minimum), and set the Highcut control to around 250 – 300 Hz. You want to hear only the guitar’s low frequencies. You can’t hear the effects of adjusting the main compression controls (like Ratio and Threshold) while the Listen Filter is enabled, so disable Listen Filter, and start adjusting the controls for the desired amount of low-frequency compression. For a reality check, use the Mix control to compare the compressed and uncompressed sounds. The high frequencies should be equally prominent regardless of the Mix control setting (unless you’re hitting the high strings really hard), while the lower strings should sound compressed. The compression controls are fairly critical in this application, so you’ll probably need to tweak them a bit to obtain the desired results. If you need more flexibility than the internal filter can provide, there’s a simple workaround. Copy the guitar track. You won’t be listening to this track, but using it solely as a control track to drive the Compressor sidechain. Insert a Pro EQ in the copied track, adjust the EQ’s range to cover the frequencies you want to compress, and assign the copied track’s output to the Compressor sidechain. 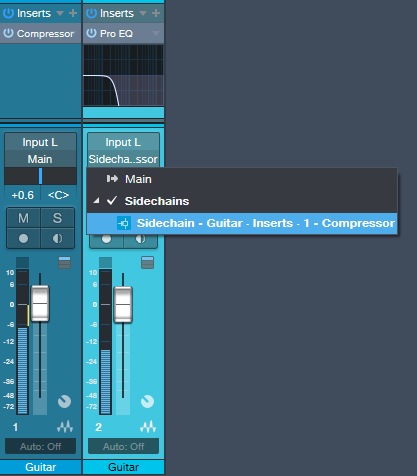 Because we’re not using the internal sidechain, click the Sidechain button in the Compressor’s header to enable the external sidechain. The bottom line is that “compressed” and “lively-sounding” don’t have to be mutually exclusive—try frequency-selective compression, and find out for yourself. 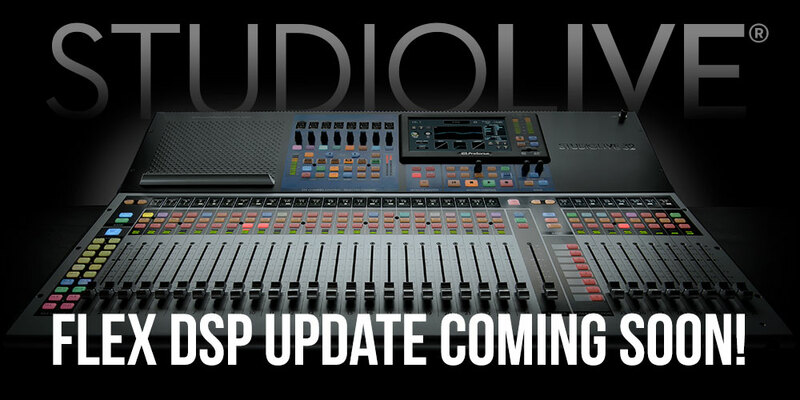 Introducing the StudioLive Flex DSP Update! Big news for StudioLive Series III mixer owners—get ready for some dramatic improvements to your mixer in the new StudioLive FLEX DSP update! Note that this update WILL restructure your existing scenes—be sure to back them up before installing the update! Click here for instructions on how to do that. Added support for all the amazing new features listed above! Click here for Firmware update instructions. Questions? Check out this series of videos from Ray on all the new stuff. Großartige Neuigkeiten für alle Besitzer von StudioLive Series III Mixern – macht euch auf einige dramatische Verbesserungen im neuen StudioLive FLEX DSP Update gefasst! Szenen werden zugunsten eines verbesserten Projekt- / Szene-Workflows aktualisiert. Bitte beachtet, dass dieses Update bereits existierende Szenen NEU STRUKTURIEREN wird – Bitte lege für diese ein Backup an, bevor das Update installiert wird! Hier klicken, um die Backup-Anleitung zu lesen. Dies ist ein Maintenance-Update, welches die Kompatibilität mit den oben aufgeführten Mixer-Features ermöglicht. Bietet Unterstützung für all diese fantastischen neuen Features! 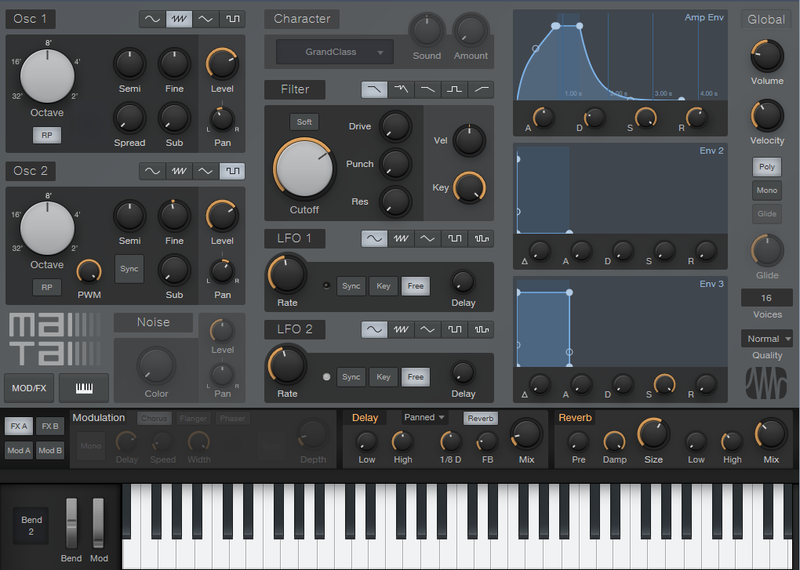 On March 17-23, 2019, score 30% off Notion and Studio One! 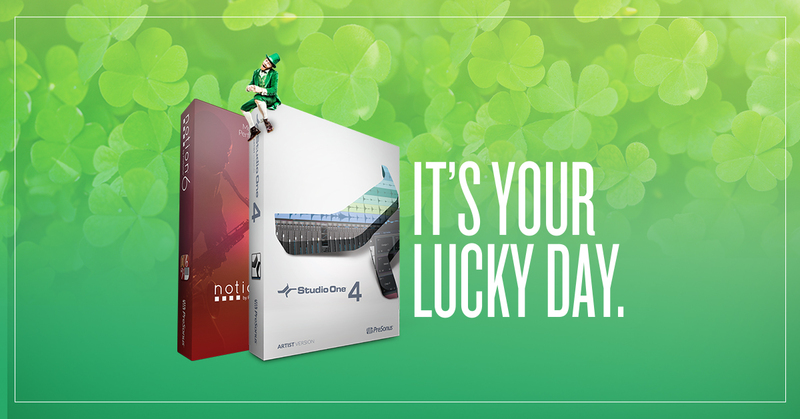 This St. Patrick’s Day discount is available March 17, 2019 through March 23, 2019. This offer excludes crossgrade, EDU and Add-Ons. Click here to find a dealer in the USA. Click here to find a dealer outside the USA. You’re probably aware that several Studio One audio processors offer sidechaining—Compressor, Autofilter, Gate, Expander, and Channel Strip. However, both the Spectrum Meter and the Pro EQ spectrum meter also have sidechain inputs, which can be very handy. 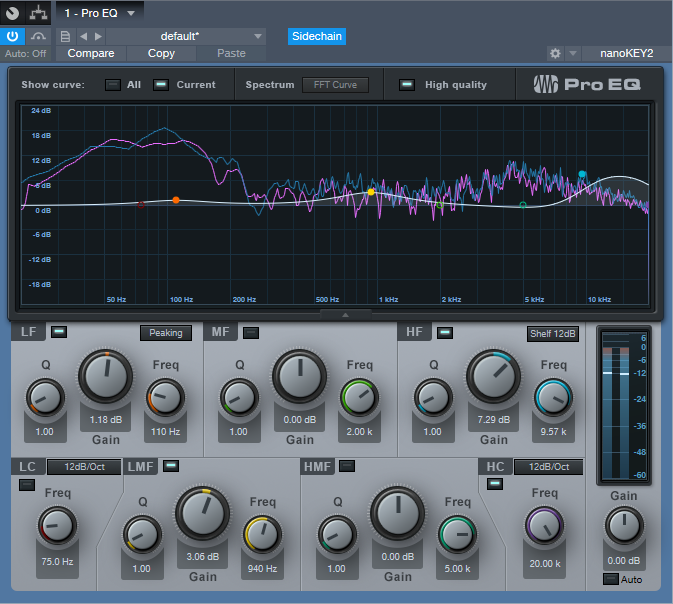 Let’s look at Pro EQ sidechaining first. When you enable sidechaining, you can feed another track’s output into the Pro EQ’s spectrum analyzer, while still allowing the Pro EQ to modify the track into which it’s inserted. When sidechained, the Spectrum mode switches to FFT curve (the Third Octave and Waterfall options aren’t available). The blue line indicates the level of the signal going through the Pro EQ, while the violet line represents the sidechain signal. As a practical example of why this is useful, the screen shot shows two drum loops from different drum loop libraries that are used in the same song. The loop feeding the sidechain loop has the desired tonal qualities, so the loop going through the EQ is being matched as closely as possible to the sidechained loop (as shown by a curve that applies more high end, and a slight midrange bump). Another example would be when overdubbing a vocal at a later session than the original vocal. The vocalist might be off-axis or further away from the mic, which would cause a slight frequency response change. Again, the Pro EQ’s spectrum meter can help point out any differences by comparing the frequency response of the original vocal to the overdub’s response. 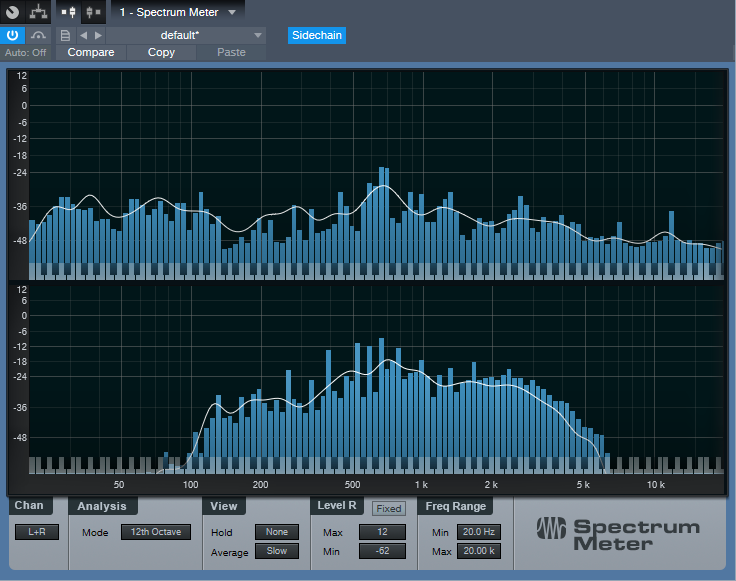 Sidechaining with the Spectrum Meter provides somewhat different capabilities compared to the Pro EQ’s spectrum analyzer. With sidechain enabled, the top view shows the spectrum of the track into which you’ve inserted the Spectrum Meter. The lower view shows the spectrum of the track feeding the sidechain. When sidechained, all the Spectrum Meter analysis modes are available except for Waterfall and Sonogram. While useful for comparing individual tracks (as with the Pro EQ spectrum meter), another application is to help identify frequency ranges in a mix that sound overly prominent. Insert the Spectrum Meter in the master bus, and you’ll be able to see if a specific frequency range that sounds more prominent actually is more prominent (in the screen shot, the upper spectrum shows a bump around 600 Hz in the master bus). Now you can send individual tracks that may be causing an anomaly into the Spectrum Metre’s sidechain input to determine which one(s) are contributing the most energy in this region. In the lower part of the screen shot, the culprit turned out to be a guitar part with a wah that emphasized a particular frequency. Cutting the guitar EQ just a little bit around 600 Hz helped even out the mix’s overall sound. Of course, the primary way to do EQ matching is by ear. However, taking advantage of Studio One’s analysis tools can help speed up the process by identifying specific areas that may need work, after which you can then do any needed tweaking based on what you hear. Although “mixing with your eyes” isn’t the best way to mix, supplementing what you hear with what you see can expedite the mixing process, and help you learn to correlate specific frequencies with what you hear—and there’s nothing wrong with that. 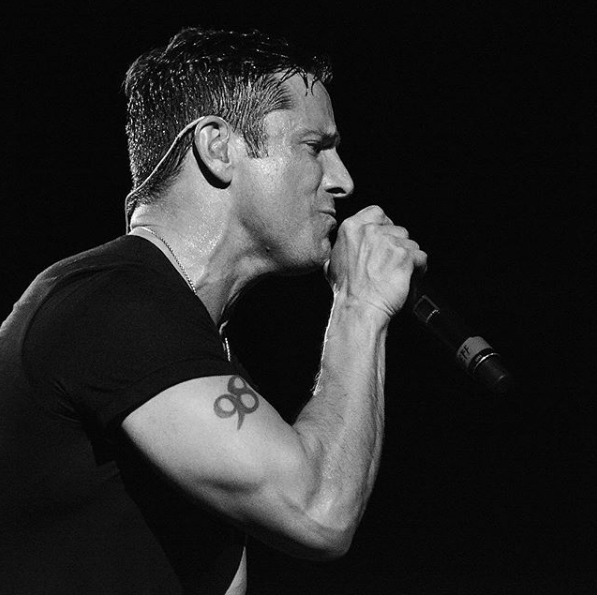 98 Reasons to go with Studio One with Jeff Timmons of 98 Degrees! Jeff Timmons is a singer, songwriter, producer, and founding member of the Grammy-nominated, iconic 90s pop group 98 Degrees! The group has six studio albums, has sold over 10 million records worldwide, and have eight Top 40 singles in the US. Additionally, Jeff has worked on numerous other projects including two solo albums and has continued to establish himself in the music industry as a producer. We connected with Jeff on Twitter and discovered his love for Studio One. We recently had the opportunity to catch up with him and ask a few questions regarding his work and Studio One. Give us some background on yourself. How long have you been making music? We started 98 Degrees way back in 1995. We signed to Motown in ‘96, then were upstreamed to Universal shortly after. I’ve been producing and engineering since ‘99. How has the music industry changed since your early days? The obvious is the digital streaming component. It’s completely changed the game. There is a lot less artist development, unfortunately. But, your ability to be virally prolific is exponential and amazing. Do you ever get sick of talking about 98 Degrees? Not at all. Being a part of something like that has been a complete blessing. We’re very fortunate to have an amazing fanbase and to be still selling out shows 25 years later. Describe the first time you wrote a song? I first started writing songs in high school and I didn’t get into production until I built my first rig in the late 90s. I had all of this massive hardware in a road case and would cart it around from city to city, and back and forth from the tour bus. Wow, how times have changed! Who has been an influence in your life? From a production standpoint, everyone from Babyface, Max Martin, Anders Bagge, Dr. Luke, Benny Blanco, Timbaland… it’s a long list! Have you ever wanted to give up on music? A million times. Everyone knows it’s a hard business. My love and passion for creating and playing with sounds won’t let me give up on it. What do you like about Studio One? The ease of use and GUI is amazing. The drag and drop of synths and VSTs, the new key detection feature, sequencing… these are all incredible features. When did you first hear about Studio One? I heard about it when it first came out. I’m always looking to get better, and my friend Dominic Rodriguez, who I really trust and is prolific in the K-pop space suggested I try it; I didn’t waste any time and joined. He was right! Learning a new DAW is like learning a new language. What features are you most impressed with in Studio One? The ease of use, and how quickly I can get things laid out. Again, the new key detection is amazing. The fact that I can then change the key to match on all of the tracks in a non-destructive way is just mind-blowing. I recommend it to everyone. Any user tips or tricks or interesting stories based on your experience with Studio One? I love how you can combine virtual instruments on single tracks. That’s incredible to me. How easy/difficult was Studio One to learn? I’m still learning all of the tricks and features because there are so many, but it didn’t take me long to start flying with it. I get inspired by a lot of things. I’ll hear a new song, a riff or beat or melody of an old one, or a new idea will just pop into my head. Recent projects? What’s next for you? I’m working with a number of projects. I did all of the music for a show on Discovery Science called “Droned.” I’m working with a new hip-hop artist, a male vocal group called Overnight, and a young female pop sensation named Nicole Michelle. Follow 98 Degrees on Instagram! Join the Studio One FAM today! 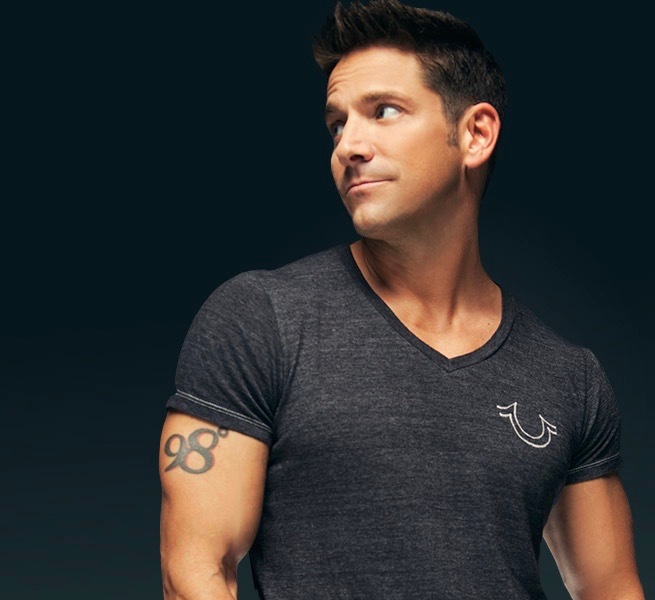 Comments Off on 98 Reasons to go with Studio One with Jeff Timmons of 98 Degrees! One of my favorite techniques for larger-than-life sounds is layering a synthesizer waveform behind a sampled sound. For example, layering a sine wave along with piano or acoustic guitar, then mixing the sine wave subtly in the background, reinforces the fundamental. With either instrument, this can give a powerful low end. Layering a triangle wave with harp imparts more presence to sampled harps, and layering a triangle wave an octave lower with a female choir sounds like you’ve added a bunch of guys singing along. Another favorite, which we’ll cover in detail with this week’s tip, is layering a sawtooth or pulse wave with strings. I like those syrupy, synthesized string sounds that were so popular back in the 70s, although I don’t like the lack of realism. On the other hand, sampled strings are realistic, but aren’t lush enough for my tastes. Combine the two, though, and you get lush realism. Here’s how. Create an instrument track with Presence, and call up the Violin Full preset. Drag Mai Tai into the same track. You’ll be asked if you want to Replace, Keep, or Combine. Choose Combine. After choosing Combine, both instruments will be layered within the Instrument Editor (see above). Program Mai Tai for a very basic sound, because it’s there solely to provide reinforcement—a slight detuning of the oscillators, no filter modulation, very basic LFO settings to add a little vibrato and prevent too static a waveform, amplitude envelope and velocity that tracks the Presence sound as closely as possible, some reverb to create a more “concert hall” sound, etc. The screen shot shows the parameters used for this example. The only semi-fancy programming tricks were making one of the oscillators a pulse wave instead of a sawtooth, and panning the two oscillators very slightly off-center. Adjust the Mai Tai’s volume for the right mix—enough to supplement Presence, but not overwhelm it. That’s all there is to it. Listen to the audio example—first you’ll hear only the Presence sound, then the two layers for a lusher, more synthetic vibe that also incorporates some of the realism of sampling. Happy orchestrating! 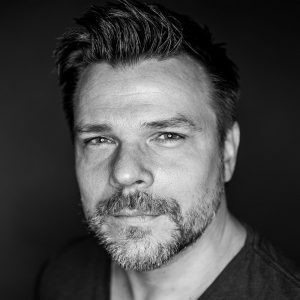 Producer, DJ and songwriter ATB—also known as Andre Tanneberger, is a 25-year veteran of the international music business. His sharp rise began when he founded his first project, Sequential One, in 1993. After a string of hits until 1998, Andre moved on to focus on his own music as ATB. When his debut single “9 PM (Till I Come)” shot to the very top of the UK charts and scored top 10 successes in many other countries around the globe. He followed with an impressive string of hits like “Ecstasy”, “Let U Go,” “What About Us,” “Move On,” “When It Ends It Starts Again,” and “Connected.” Gold and platinum awards in numerous territories underlined his status, mirrored by his constant presence in the prestigious DJ Mag Top 100 rankings for a decade and a half. 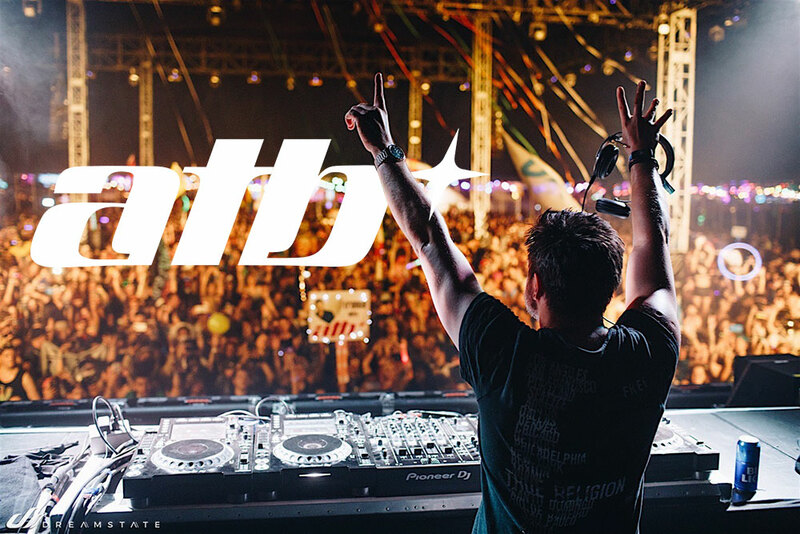 ATB is one of just a handful of musicians to have emerged from the German club scene to become worldwide superstars–from Australia to Asia, Mexico to Poland, Russia and, above all, in the USA. Given his impressive resume, we’re really glad to report that ATB is an enthusiastic Studio One user. We were able to have a Q&A session with him recently where he talked about his use of Studio One. Presonus Studio One is by far my favorite PreSonus product. I switched from Apple Logic Pro years ago. The other PreSonus tool I’m using is the Classic Faderport which is absolutely essential for me. 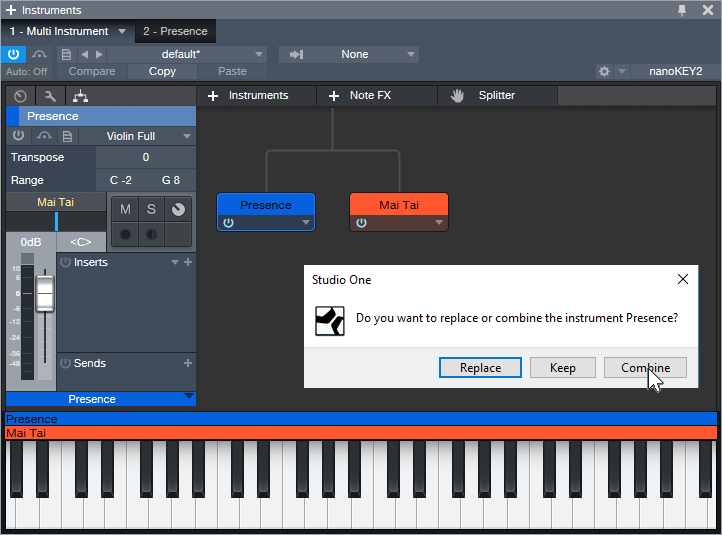 I’m Using Studio One Professional for the entire process of creating music. Starting with composing, sound design, going over to recording, editing, mixing and also mastering, I simply do everything in Studio One. I do have three workspaces so I can work from everywhere. Most of the times I’m in my main studio in Bochum, Germany to write and produce songs for my project ATB. Honestly, I never thought about the price. 🙂 I found this demo CD of Studio One in a friend’s office at Musicstore Germany back in 2013 and asked him “What the hell is this?” He told me some things about Studio One and that he really likes some features. I went back in my studio, checked the demo version and the next day I switched over from Logic Pro to Studio One. The reason was the speed of creating music. The personalized folders with my favorite plugins and favorite plugin settings, the audio editing, the speed and look of the GUI, and the audio quality which sounded awesome. So many features… like dragging and dropping ideas to my “faves” folder including MIDI and all plugins made me so much faster while creating music. And this is absolutely essential to me. Tools are there for pushing your creativity, not to outbreak it. I love the scratchpad as it makes arranging super easy. This is something which helps me to be very fast in trying new arrangements and in cutting out or copying entire parts of a track. Also, many drag & drop functions are really helpful, like saving channel strips via drag & drop. The macros are great tools to speed up steps while editing. How does Studio One compare to other DAWs you have used? Studio One is faster than most other DAWs and also very intuitive. How often did I think, “How great it would be to simply do this and that to reach my goal like cutting my master, doing fades and just drag and drop it to my master folder in Studio One…” and it worked! Also, the integration of Melodyne is the ultimate weapon. I’m saving so much time and I can change things on the run without any bridge or without using it as a stand-alone app. It feels like I have an “all-in-one” solution. What we mentioned while talking to other producers like the JUNKX team—Robin Schulz, etc. : they worked on Ableton Live and never thought that Studio One gives you the amount of speed you need to use your creativity as much as possible. It can be so fast and may other producers don’t know about it!! The integration of Melodyne and other apps via ARA is something which is really amazing and some producers might not know about it. Also, most guys we’ve talked about Studio One over the last three years thought that it’s a DAW for rock music producers. Not a very modern and fast developing producer tool also for electronic music and pop etc. Using the drag & drop function for MIDI files in case you’re having an idea or sound which doesn’t fit to the track you’re actually working at but which could really be amazing and inspiring for another one is a great tool. You’ll never forget any idea you once had, as you can create an acoustic note in a second.